Free Shipping Included! 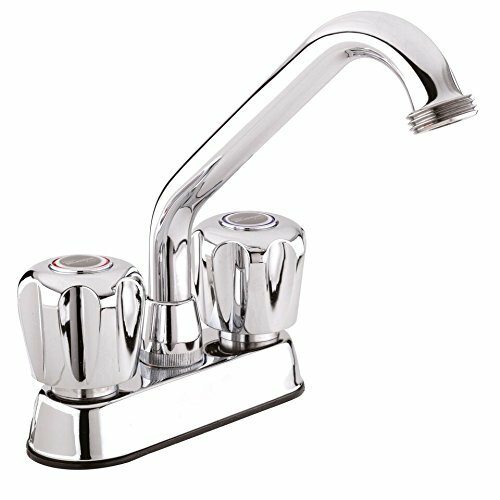 Belanger 3040W Laundry Tub Faucet with Dual-Handle, Swivel Spout and Hose End, Chrome by Keeney Manufacturing at Wakaf Center. MPN: 3040W. Hurry! Limited time offer. Offer valid only while supplies last. Belanger by Keeney’s 3040w specialty/laundry tub faucet is built to last with all brass body and a polished chrome finish to give it a sleek look. Belanger by Keeney’s 3040w specialty/laundry tub faucet is built to last with all brass body and a polished chrome finish to give it a sleek look. Features include a 4-inch c/c installation and a 6-inch threaded swivel spout to attach a ¾” garden hose. The 3040w also comes with 1/2” IPS connections for easy connections to your existing water supply. If you have any questions about this product by Keeney Manufacturing, contact us by completing and submitting the form below. If you are looking for a specif part number, please include it with your message.